Here are some facts about the River Taff. 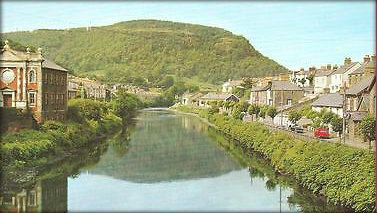 The River Taff is formed at Cefn-coed-y-cymmer in Merthyr Tydfil in Wales at the confluence (meeting point) of the rivers Taf Fechan and Taf Fawr. It flows through Pontypridd, underneath the M4 Motorway and Cardiff. It’s mouth is in Cardiff Bay, close to the mouth of the River Ely. The River Taff is 64 km long. Some of its tributaries include, the River Cynon, the River Rhondda and the Nant Clydach. In the mid-1800s, Isambard Kingdom Brunel came up with plans to divert the River Taff to the west, away from its old course around Cardiff Castle. This allowed for Cardiff Central Station to be built in an area that had previously been prone to flooding. The river now flows next to Cardiff Arms Park and the Millennium Stadium. The River Taff used to be heavily polluted by industry along its banks. In recent years, the water quality has improved and it is becoming one of the best rivers for salmon and trout in all of Wales, although there is concern about the numbers of grayling in the river. The Taff Trail follows the course of the River Taff, and takes in the sites of Castle Coch, Rhondda Heritage Park and Cyfarthfa Castle. The Pont-y-Cafnau (the Bridge of Troughs) which crosses the River Taff in Merthyr Tydfil, is the world’s earliest surviving iron railway bridge. 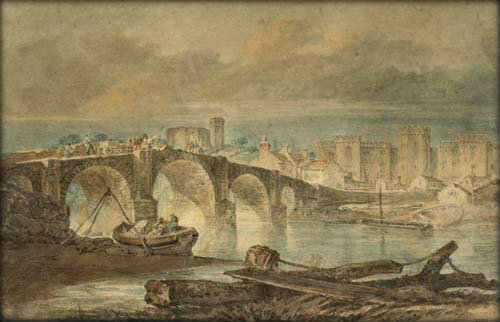 In 1795-6, J. M. W. Turner created a painting of the construction of a new bridge in Cardiff over the River Taff. What next? Discover some more facts about rivers.